Current Production Time: 3-5 business days ~ Need it sooner? Make sure to select Priority Status and we will send your order out next day via Priority mail! 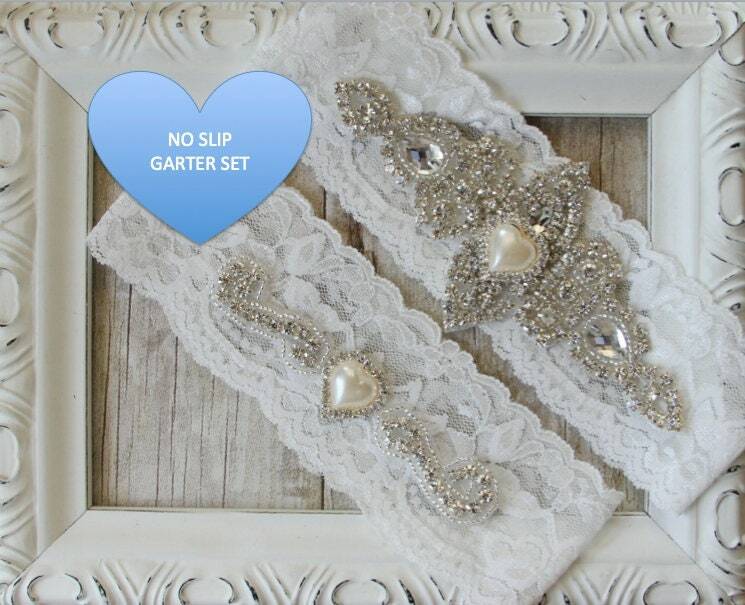 No Slip keepsake wedding garter set features vintage rhinestones on soft stretch lace with a romantic customizable pearl heart and a complimentary toss garter. All of our bridal garters come beautifully packaged in a lovely keepsake box, (as shown in the photo scroll bar) making the perfect bridal shower gift for her! Just in case your measurements are a little off, we also include complimentary Fashion Tape for a no slip garter set! 1. 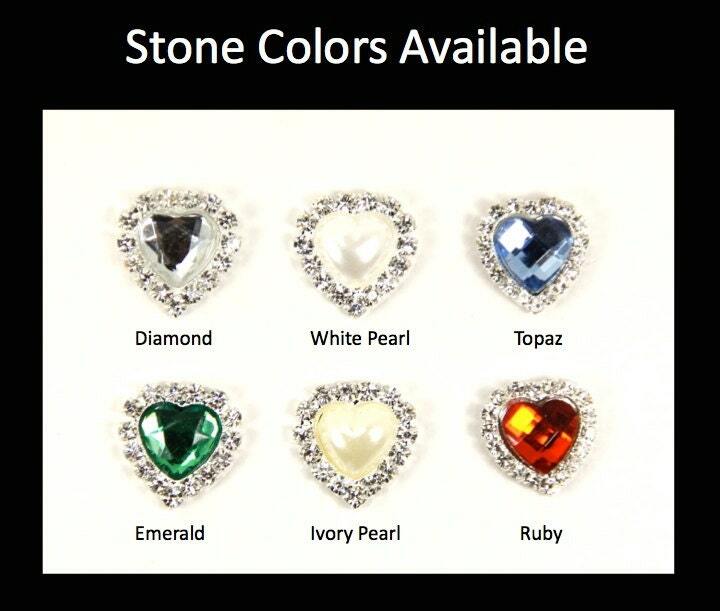 Select your lace & gemstone from the drop down menus. 2. 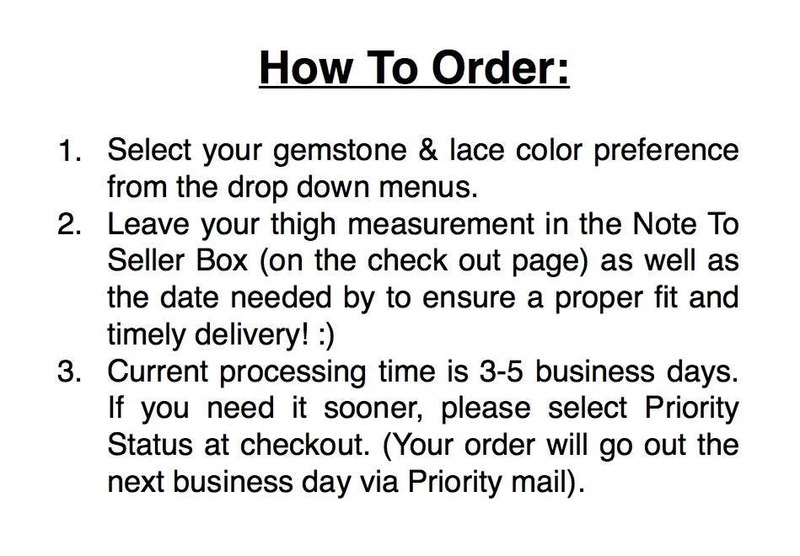 Leave your thigh measurement and wedding date in the Note to Seller box (located on the checkout page). Measurement: To measure your thigh please make sure you are standing up! You can use a soft measuring tape and place it snug where you would like to wear your keepsake garter or you can use a piece of string and place it against a ruler to get your measurement. Please do not take off inches as we will take in the appropriate amount to ensure a comfortable fit. We will adjust the toss garter according to the measurement of your keepsake garter. If you do not leave us your size we will send you our standard size which stretches up to 20." 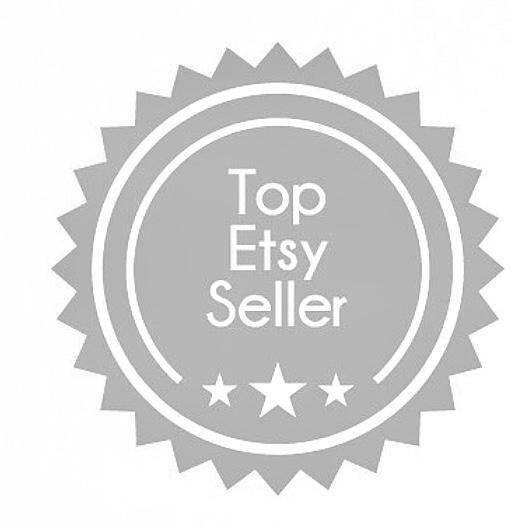 Processing Time: Please allow about 3 to 5 business days to complete your order. Please leave your wedding date in the Special Instructions box so we can prioritize our orders to ensure timely delivery! Expedited Shipping Available. Loved it soooo much and so did the bride!! !